The Parkway family believes serving our community is vital for our congregation. Whether you’re looking to help with our worship service or volunteer in the community, we have an opportunity for you. Browse the current service opportunities at Parkway and in our community, find one that suits you, and share your talents to spread God's love. Twice a year, Parkway organizes a day of service to our community. Members and friends choose from a variety of projects to benefit those served by various organizations focused on educating and empowering, nourishing the hungry, appreciating those who serve, and loving ALL of our neighbors. Engaging in these projects also highlights opportunities to continue serving throughout the year. Serving west St. Louis County within the Parkway, Rockwood, and Valley Park school districts, Circle of Concern is much more than a food pantry blessing 2,000 people with groceries each month. The organization also offers emergency financial assistance for clients, children’s programs, holiday programs, and scholarships for both high school seniors and adult clients to help break the cycle of poverty. PUCCers serve as the President of the Board, participate in fundraising events like trivia nights, and include the organization in our annual Advent giving. Welcoming and helping new Americans acclimate to St. Louis and become self-sufficient within our community, and championing the cultural and economic benefits of ethnic diversity drive the efforts of the International Institute. Families are provided with essential clothing and housewares, short-term housing, English classes, and introductions to practical resources, including transportation, medical, computer, and employment skills. Four area farms offer the opportunity to grow nutritional food, adapt farming traditions to the Missouri climate and market, and gain economic opportunities. The International Institute also sponsors the popular Festival of Nations each year to celebrate the culture and foods of numerous countries. PUCC participates in adopt-a-family programs and potluck lunches in partnership with our friends at Shaare Emeth, donates English books with strong female role models, and assists with various events to welcome new Americans. Individual PUCCers also babysit, help with apartment set-up, and participate in various other programs. With 22% of women in St. Louis impacted by domestic violence each year, Lydia’s House provides individual and group services to approximately 50 women and 80 children who have been victims of domestic abuse. Safe transitional housing, education, employment training, and other resources empower women to create goals and implement life plans. 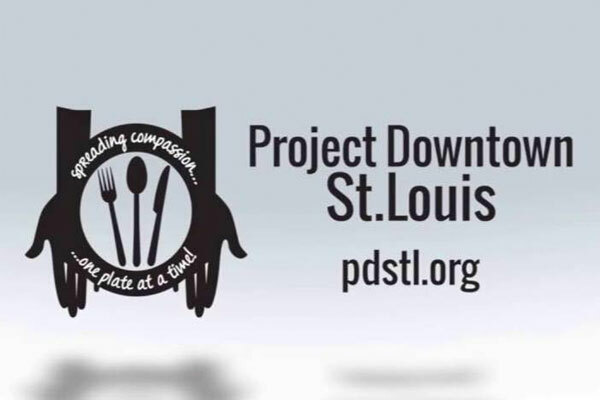 Lydia’s Ladle provides employment and training while cooking and marketing delicious chicken potpies and berry pies through various St. Louis grocers. In addition to enthusiastically buying Lydia’s Ladle pies, Parkway members serve on the Board of Directors, participate in fundraisers, and donate to an annual Lent offering. What began as a coat drive for an elementary school in 2001 has grown into an organization focused on removing the barriers poverty places on education for children. Dignity, self-esteem, health, and wellbeing are at the forefront of all programs provided by The Little Bit Foundation. The organization efficiently coordinates resources, fills gaps, and eliminates duplication of services to help the whole child. Basic needs such as school uniforms, socks, underwear, shoes, books and school supplies are complemented by nutritious meals, personal hygiene instruction/supplies, and medical screenings. Parkway UCC participates by collecting school supplies and warm winter accessories each year. One of St. Louis’ oldest charities continues to uplift St. Louis families, with fresh energy and direction. UP focuses on early childhood and family education (as Caroline Mission), after school programs in 19 city and county schools, breakfast in 11 schools, youth development, and enrichment camps to build strong children, families, and neighborhoods. Parkway supports UP through service projects with Caroline Mission, donations of preschool items, and an annual offering. A PUCC member currently serves on the board. The first Sunday of each month, PUCCers bring nonperishable food to donate for distribution by Isaiah 58 food pantry. Emmaus Home fosters independence, inclusion, and self-advocacy for adults with cognitive or developmental disabilities by providing around-the-clock residential, recreational, and spiritual services. Founded in 1893, Emmaus now serves more than 280 adults living in more than 70 homes throughout the greater St. Louis area. 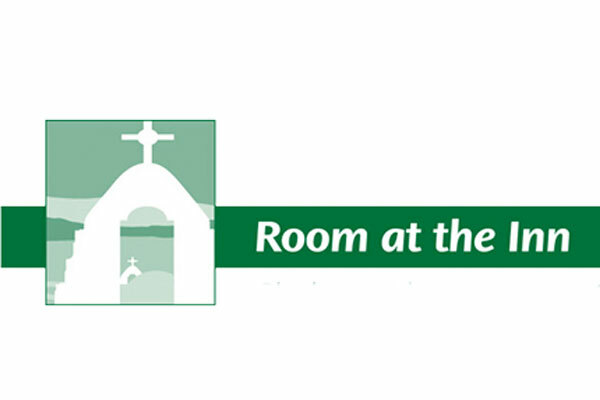 Parkway UCC enjoys hosting the Emmaus Christmas party each year, providing both our space and volunteers. Parkway has also engaged in various leisure activities and maintenance projects with Emmaus Homes throughout the years. Every Child’s Hope has evolved from its beginning as Evangelical Children’s Home, an orphanage for children of immigrants who died from cholera. Today, Every Child’s Hope offers Early Head Start and Head Start options, as well as K-12 education, state-of-the-art residential care for up to 55 children (many of whom have endured trauma, abuse, or neglect), outpatient services for children and families, foster care case management, and a Steppingstone program for individuals age 16-21 transitioning to independent living. Parkway collects donations for the organization’s Christmas store, allowing the children to choose gifts for their families and friends. PUCC also hosts the annual ECH Fall Luncheon and Bazaar as well as collect a special Thanksgiving offering each year to honor the church’s long-standing connection with ECH. Interfaith Youth CANstruction brings together teens of various spiritual backgrounds to create a mural out of canned foods, while engaging in team building and discussions of faith and shared values. CANstruction is a partnership of Interfaith Quest, The Center for Indian Cultural Education – Bal Vihar of St. Louis, and the Saint Louis Science Center. Parkway is an event sponsor and youth participate in the CANstruction. Concordance Academy of Leadership provides a wide range of re-entry services, such as an entry-level job, housing, transportation, and life skills to ease the transition for formerly incarcerated individuals returning to the community after prison. Several PUCC members serve on teams to provide continuing life skills training, friendship, other support resources, encouragement for obtaining a living wage job, and accountability toward reaching the participants’ goals. Individual teams have a 12-month commitment but many continue beyond that time period. CROP Hunger Walk began in 1969 as one of the first charity walks. Today, more than 1,000 annual CROP Hunger Walks are held across the United States to raise money to fight hunger domestically and worldwide. Sponsored by Church World Service, money raised by the walks provides food, water, seeds, tools, and other resources to help people become self-sufficient. Local walks can choose to contribute up to 25% of the funds raised to programs fighting hunger in their own communities. A representative of Parkway UCC helps organize the St. Louis CROP Hunger Walk, while others participate by walking on our team or sponsoring walkers. Heifer International began empowering women, families, and communities to end hunger and poverty through the gift of farm animals more than 70 years ago. Resources, training, mentoring and programs are provided to help attain economic empowerment and sustainable livelihoods. 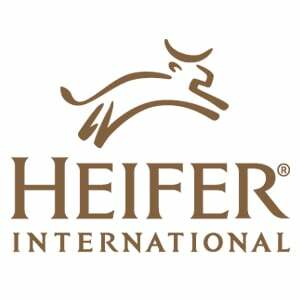 Parkway UCC includes Heifer International in our special giving each year. Eden Theological Seminary was established in 1850 and is one of six UCC seminaries preparing men and women for ordained Christian ministry, regardless of denomination. Eden promotes an ecumenical approach to progressive Christianity, strong academics, social justice, and interfaith unity to build authentic community. Parkway UCC has been blessed to host international students worshiping with us while attending Eden, and a special offering is collected for Eden each year. The Back Bay Mission strives to strengthen neighborhoods, seek justice and transform lives. 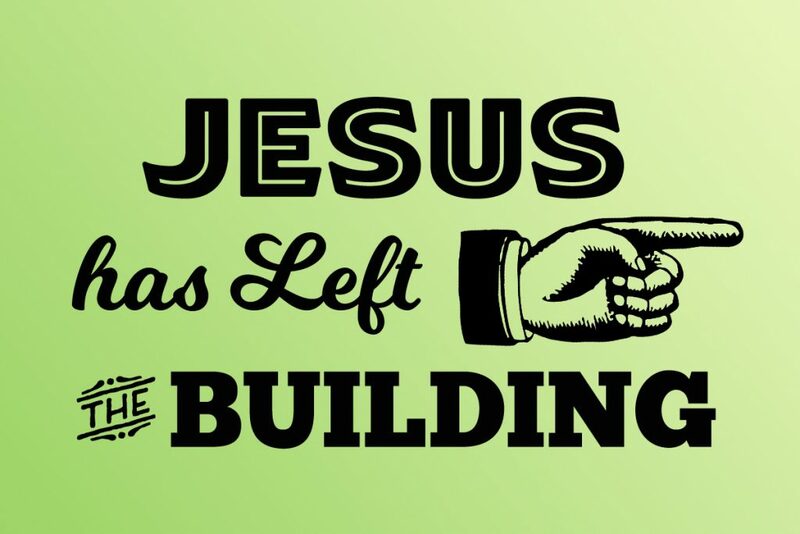 Serving communities on the Mississippi Gulf Coast, a housing rehabilitation ministry empowers and educates community members, as well as volunteers from across the country (many connected through the United Church of Christ). Advocacy for marginalized populations, education regarding the realities of poverty, and encouragement of community involvement are important aspects of The Back Bay Mission. Mentoring, emergency assistance, and homelessness outreach are offered to the communities. A few hard-working, faithful PUCC volunteers have dedicated their time and talents to a mission trip to The Back Bay Mission. Holy Joe’s Cafe sends coffee to hundreds of U.S. military bases in 70 countries, offering troops an opportunity for relaxation, conversation, and the knowledge that their service is appreciated. Military chaplains in makeshift chapels bring coffee to service personnel, including NATO troops from other countries that share the same base, as well as people of all religious faiths and backgrounds 24/7/365. Parkway UCC supports this mission through a special offering annually. Our newest team is focused on taking care of the earth that takes care of us! We are all in different places as we absorb the difficult truths of climate change. These committed and kind PUCCers educate, encourage, and nudge us into more intentional interactions with our environment. Sign up to become a Worship Helper! We are looking for greeters, ushers, refreshments, audio/visual, and flower volunteers.